You just can’t make this stuff up. Who would have thought that the missing persons case of Chase and Cole Hakken would wind up in Cuba and be a reverse Elián González story? Although, Joshua Hakken may have wanted to have chose another country that did not have an extradition treaty with the US. Late Tuesday afternoon, Cuba said that it would return the Florida couple and the kidnapped bothers, 2 year old Chase and 4 year old Cole Hakken to the United States. Joshua Michael Hakken and his wife Sharyn Hakken, who had their parental rights taken away from them, abducted their two sons from their grandmother and sailed to Havana, Cuba aboard Joshua Hakken’s new purchased 1972 Morgan, 25 foot sailboat “Salty”. The boat, named “Salty” was spotted at the Hemingway Marina in Havana. No one knew initially what the Cuban government would do with regards to the couple and the kidnapped brothers. Cuba and the US are hardly pals and Cuba does not have an extradition treaty with the United States. Nor is Cuba a signatory of the Hague Convention on the Civil Aspects of International Child Abduction. Which basically means that is was solely up to Cuba to do the right thing. Who ever thought that when Chase & Cole Hakken first went missing that this would turn into a modern day reverse Elián González story? Yahoo News reports, The foreign ministry announced the decision in a terse statement saying Joshua Michael Hakken, a fugitive from U.S. justice, would be handed over with wife Sharyn and their children. The family was located by a CNN reporter Tuesday when he ran into the father, Josh Hakken, Tuesday on a boat named Salty at a Havana marina. Cuban security asked CNN to leave the scene when the family was first spotted. Foreign Ministry official Johana Tablada told The Associated Press in a written statement Tuesday that Cuba had informed U.S. authorities of the country’s decision to turn over Joshua Michael Hakken, his wife Sharyn and their two young boys. She did not say when the handover would occur. 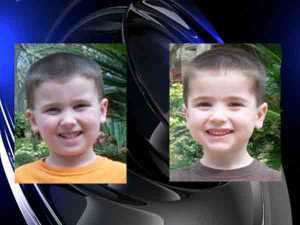 Amber Alert Issued for 4 Year Old Cole Hakken & 2 Year Old Chase Hakken Missing Since 4/3/13 in Tampa, FL. (Abducted by Bio Parents Joshua & Sharyn Hakken). Could they Be Aboard Sailboat?